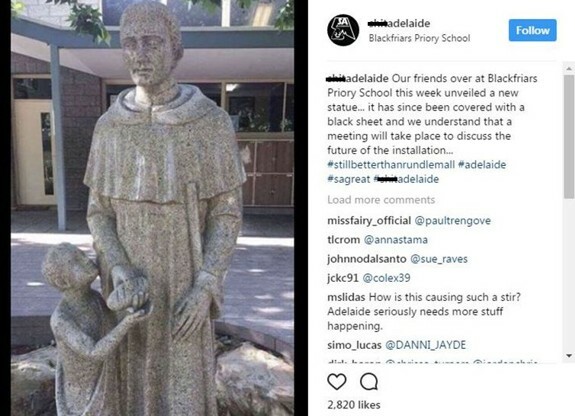 Blackfriars Priory School in Australia has been forced to cover up a statue after the finished piece appeared different to its 2D designs. The statue in question is a depiction of St Martin de Porres handing bread to a young child. But the baguette he is offering the youngster is held at waist height - making the act look much less saintly.